Recently, in order to address housing needs in the state, the California legislature amended state law that streamlines the approval process and expands capacity to accommodate the development of Accessory Dwelling Units (ADUs) in single family and multifamily zones. Under the conditions specified in the law, a local agency must ministerially approve an application for a building permit to create an ADU. How does this affect historic properties? First, we recommend that you read the actual regulatory language found in the "Planning and Land Use" section of the California Government Code, in particular section 65852.2, and the Accessory Dwelling Unit Memorandum published by the California Department of Housing and Community Development (December 2016). 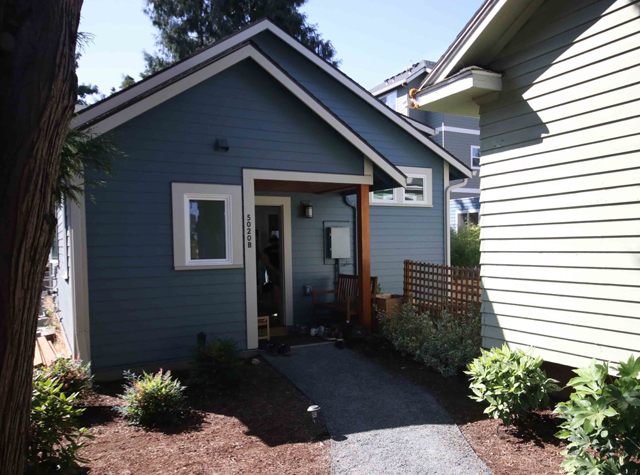 While every local agency must approve an ADU if it consistent with state law, it has the opportunity to pass a local ADU ordinance that imposes standards on ADUs including, but are not limited to, parking, height, setback, lot coverage, landscape, architectural review and the maximum size of a unit. While this provision is not specific to historic properties, it does allow the adoption of design review standards that could benefit historic properties and neighborhoods. In addition, an agency may impose standards that prevent adverse impacts on any real property that is listed in the California Register of Historic Places [Californian Register of Historical Resources]. Section 5024.1(d) of the California Public Resources Code defines what is included in the California Register. In addition, whether or not a local agency has adopted an ADU ordinance, it may not impose parking standards for an ADU that is located within an architecturally and historically significant historic district.